According to the scientists, the targeted therapy method could be used even for types of tumours that do not respond to treatment; for example, glioblastoma, a common form of brain tumour, with an average life expectancy after diagnosis of just over a year. Scientists in Siberia claim to have successfully completed the world's first experiment on use of nuclear fusion energy to destroy cancer tumours that do not respond to other treatments. An experiment using an accelerator-based neutron source for cancer therapy was performed successfully in Siberia in early March. 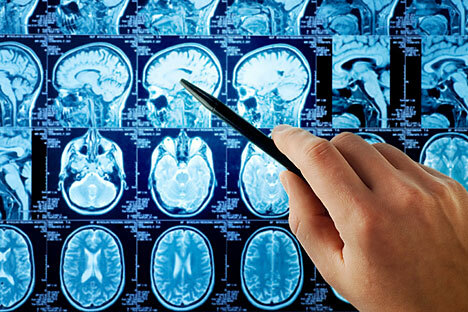 According to the scientists, the targeted therapy method could be used even for types of tumours that do not respond to treatment; for example, glioblastoma, a common form of brain tumour, with an average life expectancy after diagnosis of just over a year. The purpose of the experiment was to confirm that boron-infused cancer cells die from exposure to neutrons, and to establish the necessary dose and time. Russian scientists from the Institute of Nuclear Physics and Japanese neurosurgeons from the University of Tsukuba conducted the research. "This is the only effective way to deal with invasive tumours whose cells are distributed throughout the body," Alexander Zaboronok, associate professor of the University of Tsukuba, told RIR. "It is impossible to completely remove or destroy them using conventional methods. If the standard radiation therapy 'conducts indirect fire,' we first plant explosives on targets and then detonate them." In the late 1970s, Japanese neurosurgeon Hiroshi Hatanaka pioneered boron neutron capture therapy; a technique of selective destruction of cancer cells. He performed operations directly in a nuclear reactor. The technique is based on the fact that tumour cells accumulate the boron-10 isotope to a greater extent than healthy tissue cells. The patient is administered a solution comprising boron-10, and then irradiated with an intense neutron flux. The isotope easily enters into nuclear reactions with neutrons. Almost all the energy from the nuclear reaction is released inside the cancer cells, resulting in damage to their DNA and cell death. One of the Dr. Hatanaka’s patients lived for 21 years after the operation. But it almost immediately became clear that there would never be mass operations inside nuclear power plants. It is too difficult and too dangerous. After the disaster at the nuclear power plant in Fukushima, the situation has reached a stalemate. "Before the Fukushima accident, we used the JRR-4 reactor as a neutron source, but it was damaged. After this, the Japanese government banned the use of nuclear reactors for medical purposes," Kei Nakai, professor of neurosurgery at the University of Tsukuba, told RIR. The scientists at Novosibirsk were the first in the world to obtain a beam of neutrons that can be used to irradiate cells. The idea of creating an alternative source of neutrons for treatment of cancer patients has been expressed before, but the Fukushima disaster gave new impetus to the work. Scientists in Japan, the U.S.A and the E.U. began the daunting task of designing accelerators that would produce the same beam of neutrons as the nuclear reactor. "We had to create a beam of neutrons with energies over the thermal range, that is not fast or slow, but intermediate," said Sergei Taskayev, senior researcher at the Institute of Nuclear Physics. “In addition, the flow should be large enough, since the patient should not be irradiated for more than an hour in one session." To do this, the researchers used an unusually designed accelerator. "It was a huge risk, knowing that maybe nothing would work at all," said Taskayev. "We started back in 2003, but came to the parameters of the beam, close to what is necessary, only in 2015." The Japanese brought new, more efficient boron-containing drugs for therapy to Siberia. The promising agents were added to the culture of tumour cells. After that, the Siberian physicists irradiated them with neutrons in their installation. The whole group of researchers hid from radiation behind a heavy iron door. "The future of the method is in compact and safe accelerators, since it is simply impossible to install a nuclear reactor in the clinic," Dr. Nakai said. The experiment was a success, the method worked. As early as in 2017, laboratory animals with brain tumours will be subjected to the treatment and in 2018, scientists hope, they will be able to start treating people.